UK - Boasting a wide range of high quality indoor and outdoor facilities, Salt Ayre is the largest community sports and leisure centre in the Lancaster district. Run by Lancaster City Council, as well as a swimming pool, sports hall, climbing wall and soft-play area, the centre boasts a state-of-the-art health and fitness suite. 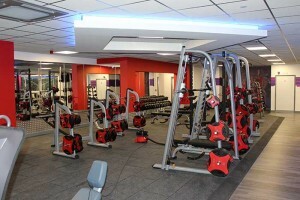 Part of a recent £5m refurbishment and development project at the centre, the gym is a modern air-conditioned facility with an extensive range of exercise equipment. In a cutting-edge setting like Salt Ayre, high quality audio systems are essential to deliver the music that is an integral part of a contemporary exercise environment. 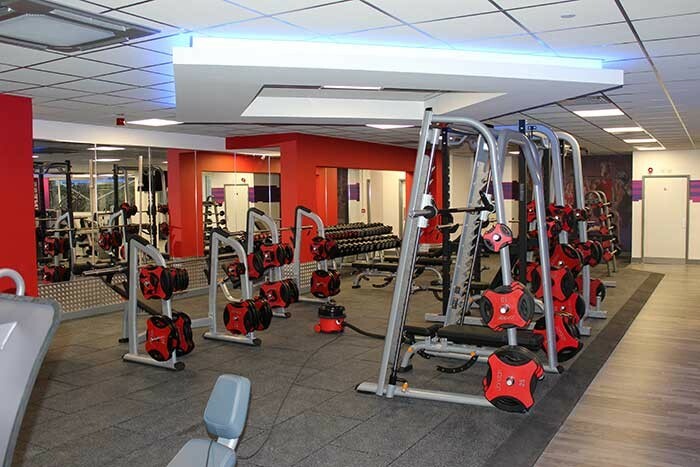 During the redevelopment, Lancaster City Council contacted professional audio specialists, Audiogenics of Carnforth with a view to installing a new sound system at Salt Ayre's gym. The brief was to provide a background music system for the gym with provision to alter the volume level in different areas as required. The music source was, originally, to be either a CD player or mobile device. Ceiling speakers were the desired option as the main areas to be covered already had suspended ceilings in place. Whilst the brief was to provide the highest audio quality possible, Audiogenics also had to be mindful of the council's budget. Local authorities do not enjoy large surpluses of cash, so the essence of the task at hand was to deliver the best possible audio at a highly competitive price. In consultation with Audiologic, Robin Duff at Audiogenics settled on an Ecler system centred on the Ecler Essentials Range. The range preserves the essence of Ecler's renowned reliability and quality, whilst, by offering fewer features, is a one-stop solution at an incredibly competitive price. Audiologic's ethos is based on securing 'best-fit' solutions for each unique project, a principle which continues to drive its customer-focussed success. Twenty-six Ecler IC6 and two IC8 ceiling speakers were installed, driven by an Ecler Essential HSA4150 four-channel amplifier. The four channels on the amplifier correspond to four zones within the gym, allowing for independent volume control in each. The amplifier and an Ecler SAM412T 1U Mixer were located at the reception area, complemented by an Ecler Essential ePlayer1. The ePlayer1 is a compact audio player with a stereo output that can play music from local storage media (USB/SD card), internet streams or digital sharing streams (DLNA and Airplay compatible). The range of sources available through the ePlayer1 covers every possible base for Salt Ayre's gym, offering a virtually limitless selection of content and being extremely competitively priced, was preferred to the CD player or mobile device specified in the original brief. The SAM412T with four mic/st Line inputs allows for microphones to be used in conjunction with the system, whilst the exceptional quality of the IC speakers completes a comprehensive, highly effective package for a comparatively modest outlay. Robin Duff, Audiogenics gives his insight: "The brief from Salt Ayre, although relatively straightforward, came in a few weeks before Christmas with a requirement that the system be up and running by 3rd January! I've worked for Salt Ayre for a number of years maintaining several portable sound systems, so I was at least familiar with the lie of the land. By the time I'd evaluated everything, designed the system and had the budget approved by the client, I was left with just a week to install. I ran things past the guys at Audiologic during the design stage and as always, they offered useful advice. The existing portable systems already included Ecler products, which I've found to perform well over a long period of time, so it was an easy decision to choose them. 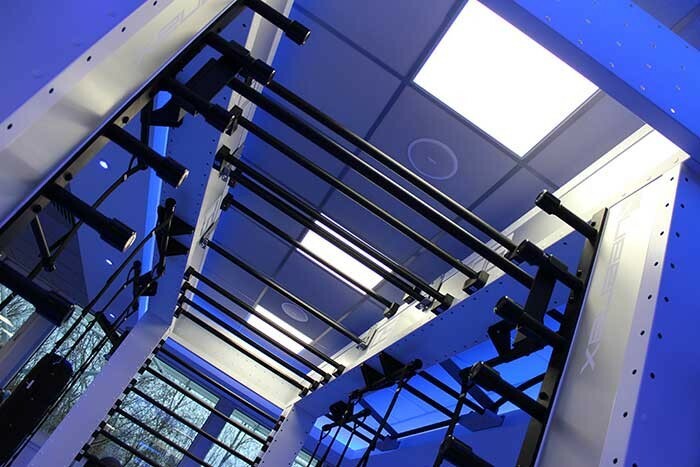 “The job itself was made straightforward by the fact that all the products are designed to be installed quickly and easily, something that's especially important when you're at the top of a ladder with your head in a dark ceiling void! Each IC speaker could either be installed into a tile at ground level before fitting the whole thing into the suspended-ceiling grid, or if space was tight the speaker could be offered into the pre-cut hole, connected and secured without actually having to access above the tile. This saved a lot of time. The amplifier and mixer come with connectors as part of the package, so there was no issue as regards having to remember extras." Andy Lewis, sales and marketing manager at Audiologic adds: "Given the constraints on Robin's time, it was essential that the products were in stock and the order delivered accurately and efficiently. This is a key aspect of Audiologic's ethos. Customers like Audiogenics are often working under immense pressure and part of our job is to relieve that pressure both in terms of prompt supply and readily available technical consultation. A little time spent engaged in the latter often saves a great deal in the long term. The decision to use the ePlayer1 also resulted from our discussions with Robin. Salt Ayre's original brief was to use a CD player or iPod but given the vastly increased flexibility offered by the Ecler media player, it was duly chosen and perfectly suits the requirements of the gym." The Ecler Essentials range has proved time and again to offer high quality, affordable solutions across a host of applications. At Salt Ayre, where Audiogenics had a very narrow window of opportunity to design, procure and install, work was completed on time and on budget. The management of the gym have stated that they are very happy with the audio quality and coverage as well as the way the speakers blend seamlessly into their environment.